What do some of the city's top chefs and restaurateurs have to say about our Los Angeles expansion? For decades, culinary leaders in New York City have turned to ICE when they need to fill their restaurants with new talent. That's why, when we announced our expansion to the West Coast, the industry took notice. From Wolfgang Puck to Suzanne Goin and Tom Colicchio, read below to find out what a few of our fans have to say about our Los Angeles campus. 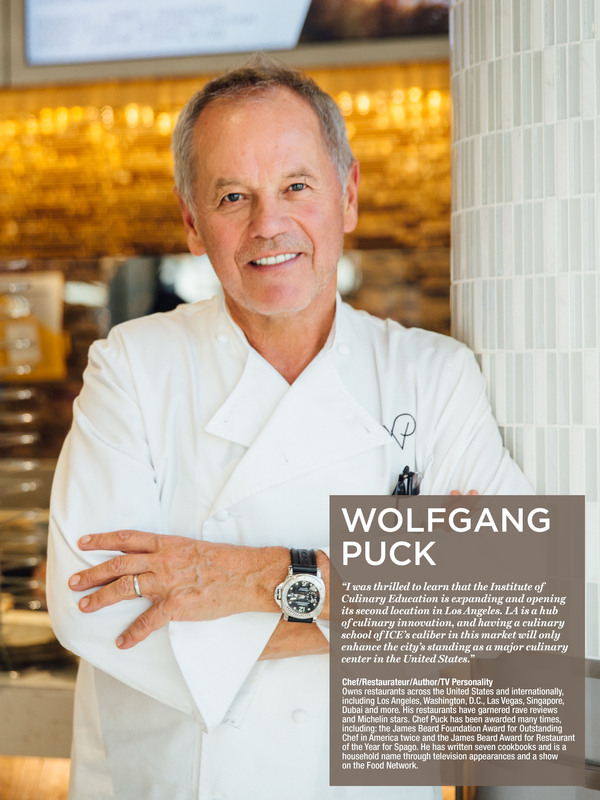 Wolfgang Puck: "Having a culinary school of ICE's caliber in this market will only enhance the city's standing as a major culinary center in the United States." 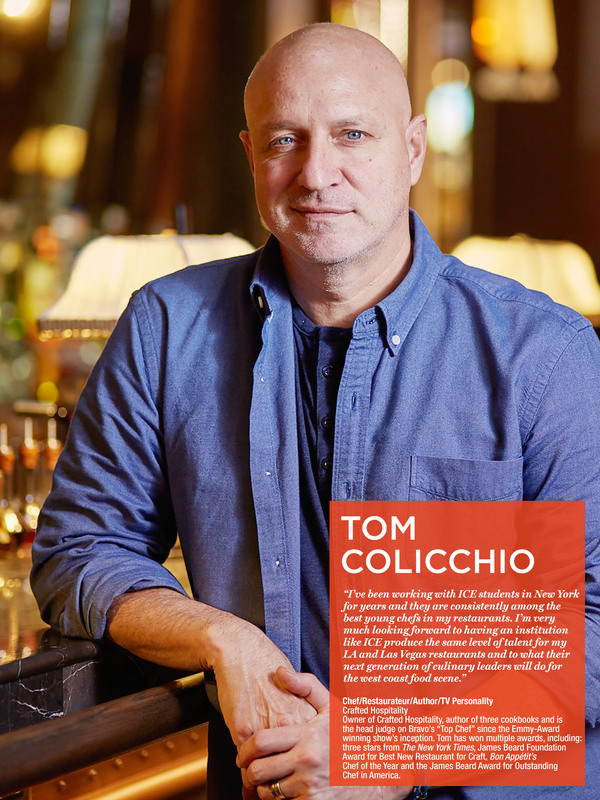 Tom Colicchio: "I've been working with ICE students in New York for years and they are consistently among the best young chefs in my restaurants." 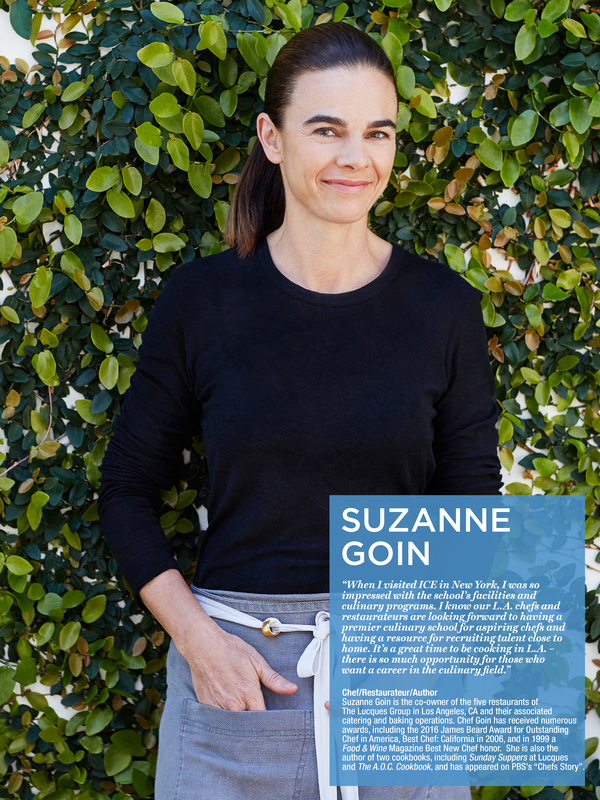 Suzanne Goin: "I know our L.A. chefs and restaurateurs are looking forward to having a premier culinary school for aspiring chefs." 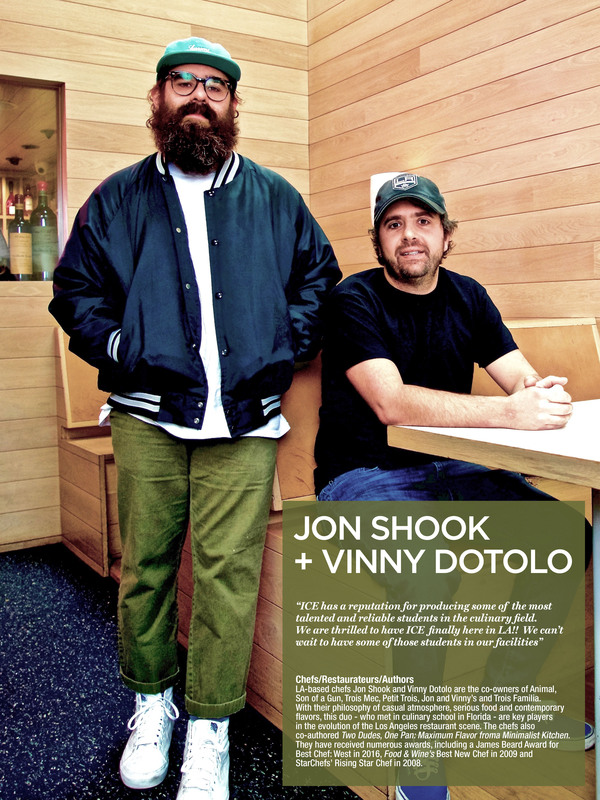 Jon Shook and Vinny Dotolo: "ICE has a reputation for producing some of the most talented and reliable students in the culinary field." 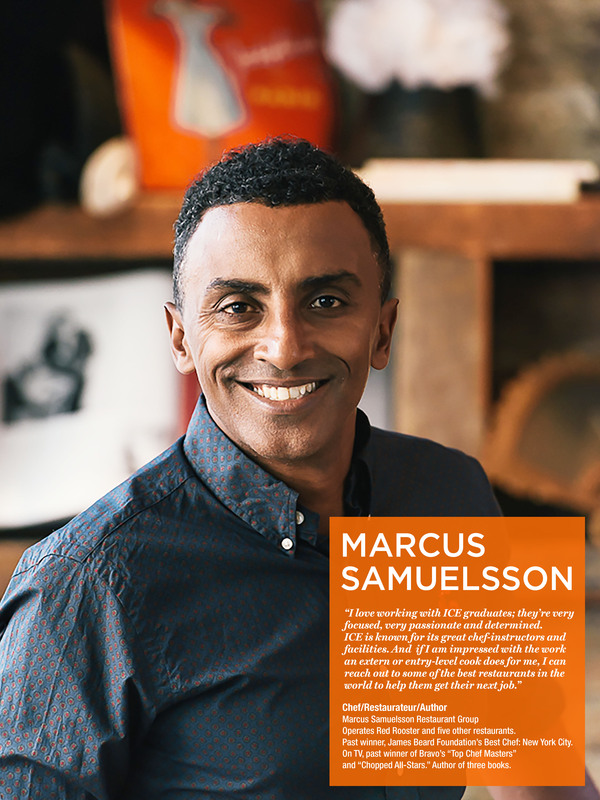 Marcus Samuelsson: "I love working with ICE graduates; they're very focused, very passionate and determined." Sign up for a personal tour of the campus and speak with our admissions team.